While the Purple Room is currently without a brick-and-mortar location, we’re very busy producing and presenting events at various venues all across the city! Check out the X-CUES WINTER MARKET on the afternoon of Sunday, December 16 for over 15 local vendors, 10 local musicians performing Christmas & folk music, plus the amazing food, coffee, and other drinks that X-Cues has to offer! 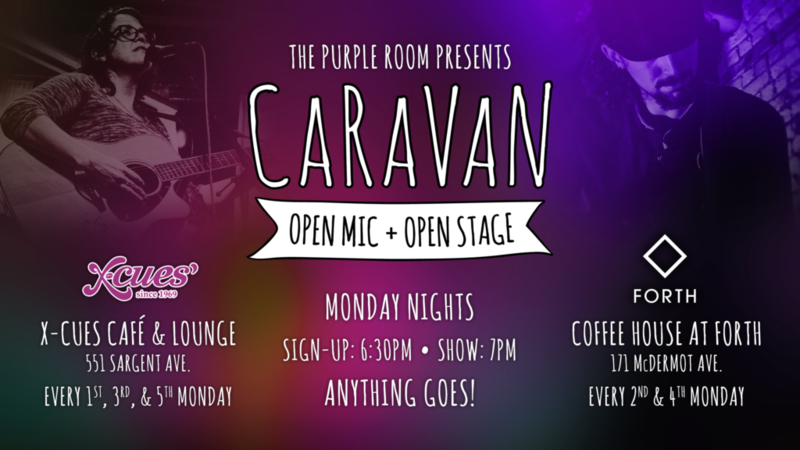 We help run CaRaVaN OPEN MIC + OPEN STAGE, a long-running “anything goes” open mic that takes place every Monday night at 7:00 PM. This winter we’re splitting our Mondays between our old friends at Forth Café in McDermot and our new friends at X-Cues Café & Lounge on Sargent. From early May through mid-September, we bring things out to the Cube stage at Old Market Square! For more information on CaRaVaN, visit the Facebook group. 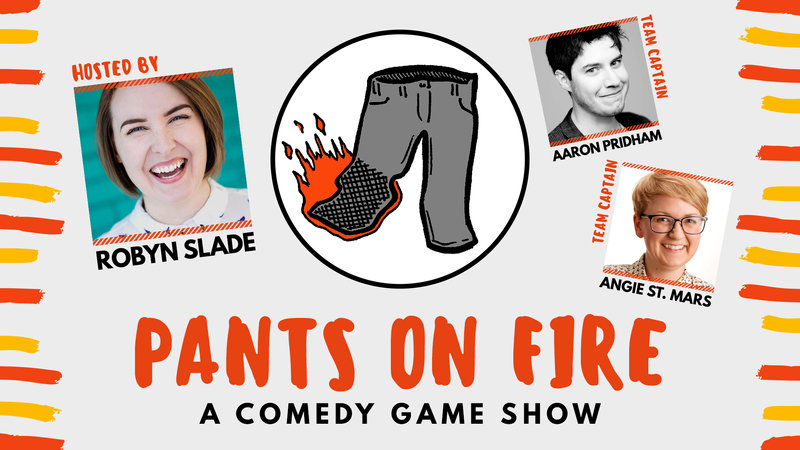 We co-produce PANTS ON FIRE, a comedy game show pitting teams of comedians against each other in a battle of truth and deception. It takes place monthly at X-Cues Café & Lounge. You’ll also find Purple Room-presented events and stages throughout the city, including at the MANITOBA NIGHT MARKET & FESTIVAL in June and August at Assiniboia Downs, the annual CAKE ‘N SHAKE at the end of May at Old Market Square, and our SONIC SPOTLIGHT series showcasing a trio of local (and sometimes touring) musical acts on both outdoor and indoor stages. After 2 and a half years operating out of the back of Frame Arts Warehouse, the Purple Room shut its doors in August 2015. However, a great team of people connected to the local arts community is still hard at work planning a new home for this unique Winnipeg institution! For more information on where we’ve been and where we’re headed, visit our ABOUT page. To help contribute to what we’re building — and get some really cool perks along the way — check out our CAMPAIGN page.